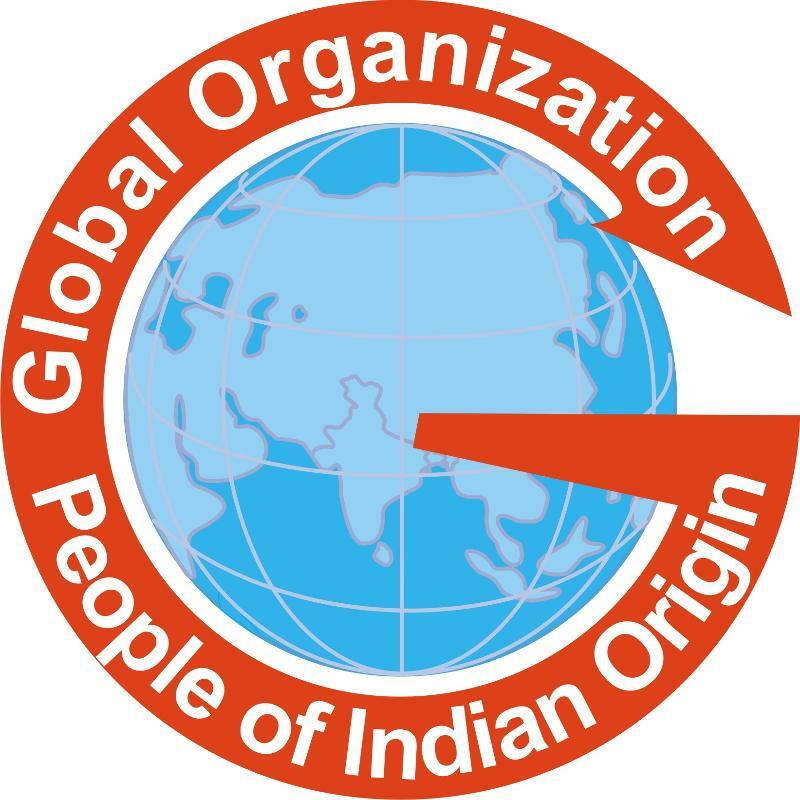 GOPIO, Global Organization of People of Indian Origin is a community supported non-profit organization that takes up issues of the Indian Diaspora and attempts to unify the community in its common causes. 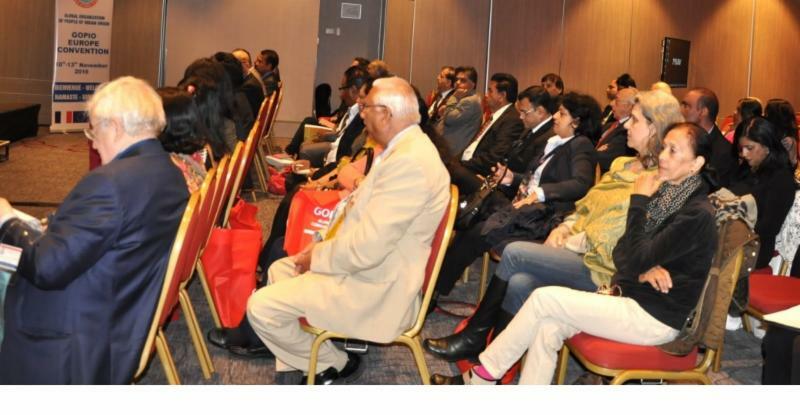 GOPIO Europe chapter organized its Europe convention in Paris from 10th to 13th of November, 2016. The Convention started on 10th Thursday evening with the opening registration followed by welcoming delegates, special dinner at the Indian restaurant in Champs Elysees, Paris and 'Discover LIDO' show thereafter. Panel discussions on various issues around the world by experts, cultural programs, educational visits, get-togethers, award ceremony, book release, general body meeting etc. were arranged as part of the convention. GOPIO members from different countries including USA, Australia, South Africa, Mauritius, Austria and UK have actively participated in the Europe summit that lasted four days. 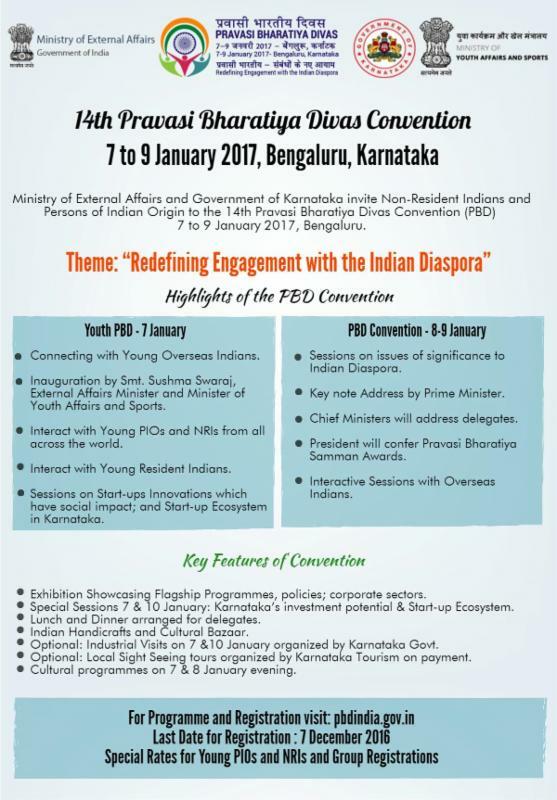 Official inauguration of the convention took place on 11th Friday evening at by Indian Ambassador Dr.Mohan Kumar. 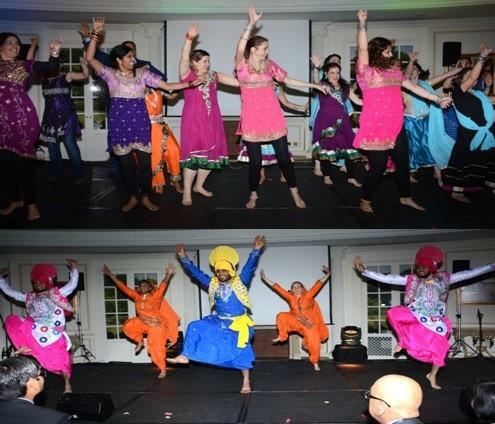 The ambassador urged all the GOPIO members to concentrate on charity activities in India. He said that GOPIO is a mature entity now and it is high time that we help our motherland in any possible way. Indian Parliament member Dr. Satyajeeth Singh, Maharashtra assembly Chief Whip Raj K Purohit, GOPIO Global Chairman Dr. Thomas Abraham, GOPIO Exce. VP Noel Lal, GOPIO International Coordinator for Europe Dr. Pradip Sewoke and Convention Convener Mehan Poinoosamy delivered speeches at the function. A documentary film 'Mademoiselle France Pleure' about Soldiers who were martyred in World War I, directed by Mr. Vijay Singh, was shown at the program just after the convention inauguration. With India at the threshold of accepting new technologies and business investment, the new team has come up with a motto, 'GOPIO Means Business'. This move would focus on attracting the entrepreneurs and businessmen among the Indian Diaspora to take more interest in investing in India in all spheres ranging from business, philanthropy, education, healthcare and social causes. Least to say, there was active participation of eminent writers and artists in this convention. The European Biennial Summit is one of the pivotal events in the global GOPIO program calendar. The theme of this summit, 'Indiaspora, Opportunities beyond Frontiers', conveyed GOPIO's thrust to mobilize Diaspora's technology and professionals as well as the investment resources. Discussions on many important issues and topics of common interest were also carried out to gather more information in various fields. Photo:GOPIO team at Neuve Chapelle paying tribute to the Indian soldiers who lost their lives in World War I. 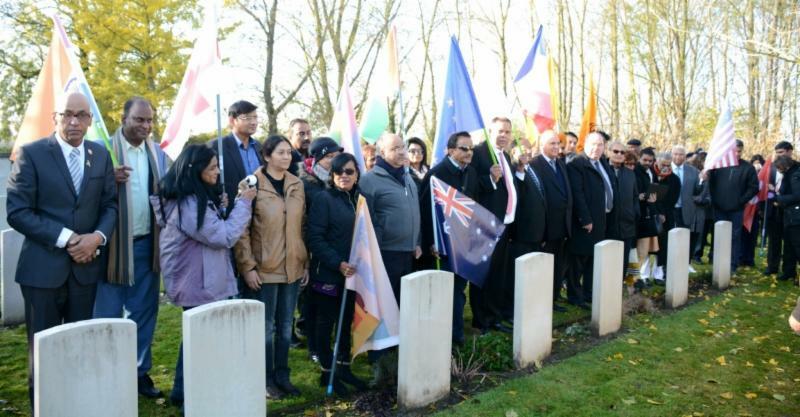 As part of the program, a visit to the World War I memorial in Neuve Chapelle (North of France) had been arranged on Friday morning to pay tribute to the Indian soldiers who were martyred in France. 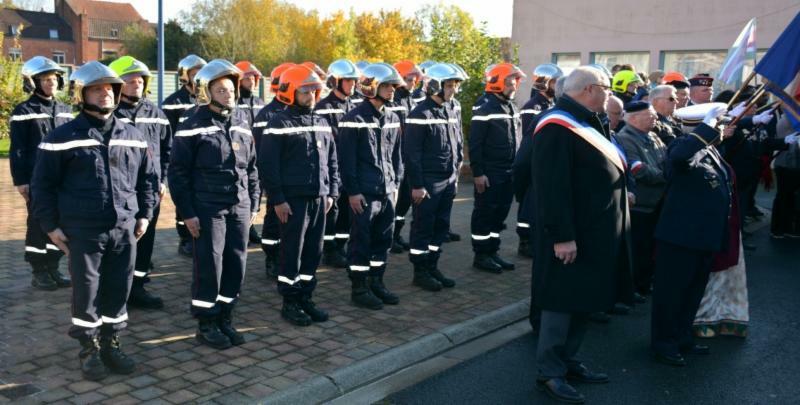 Mayor of Neuve Chapelle Mr. Roland Lieven, Mayor of Veile Chapelle Mr. Jean-Michel Desse, Mayor of La Couture Mr. Raymond Gaquere, Mayor of Laventie Mr. Jean Phillipe Boonaert and Mayor of Lorgies Mme Anne-Marie Lefebvre had attended the program. At the site of Neuve Chapelle (Richebourg), there now stands a memorial garden, circled by domed pavilions and towering columns. It now forms a permanent reminder of the sacrifice of the soldiers of Indian origin, our forefathers. Welcoming the guests to Paris, Convention Chairman Dr. Pradip Sewoke told the GOPIO members that the aim of the convention is to unite the whole Indian Diaspora in Europe and urged them to work together for a brighter future and that we are in dire need to open more GOPIO chapters and add life members in Europe so as to have a 'Strong United European GOPIO'. He added that it was essential to strengthen our efforts in the area of youth development, science and technology, women empowerment, charity activities, medical facilities, literary activities, business opportunities, etc. Conference sessions started on 12th Saturday morning at the Marriott Hotel, Paris. French minister for overseas affairs Mdm Ericka Bareights inaugurated the conference sessions. She praised GOPIO's activities for the welfare of the Indian people abroad. Conference topics discussed included Uniting the Indian youth Diaspora of the world; Francophone Indian Diaspora: past-present-future; Make in India: exploiting the potential, Entrepreneurial India; Indian Diaspora in the world of finance; Higher mortality rate among the Indian Diaspora; Women Leadership Science and technology council etc. were discussed in the conference sessions. The experts in the corresponding field enriched each session with their informative speeches. GOPIO Europe summit passed two resolutions at the conclusion of the conference. The first one endorsed Government of India in implementing demonetization of Indian Currency notes. The resolution says that this attempt will help to reduce the black money and corruption in India, but asked the Govt. 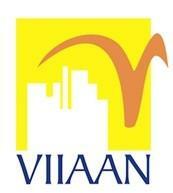 to take care of NRI/PIO concerns. 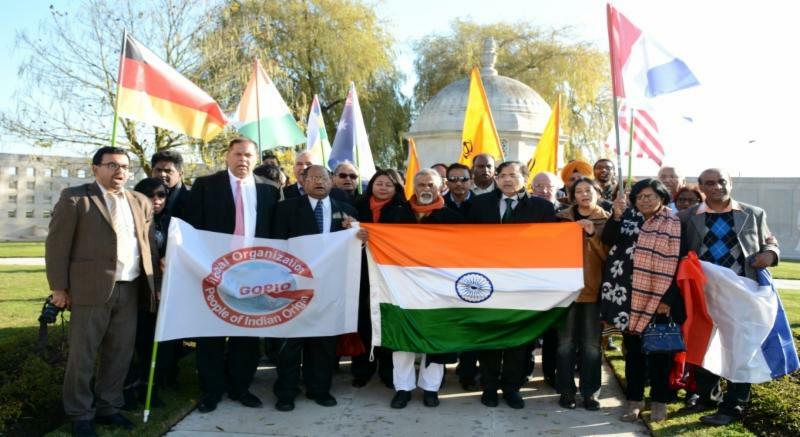 Second resolution was to request the French and Indian governments to support GOPIO International's demand that the monument of Indian Soldiers at Neuve Chappell should be recognized by UNESCO as a world heritage site. On Saturday evening, the valedictory function started at Bateau Mouch on River Seine. 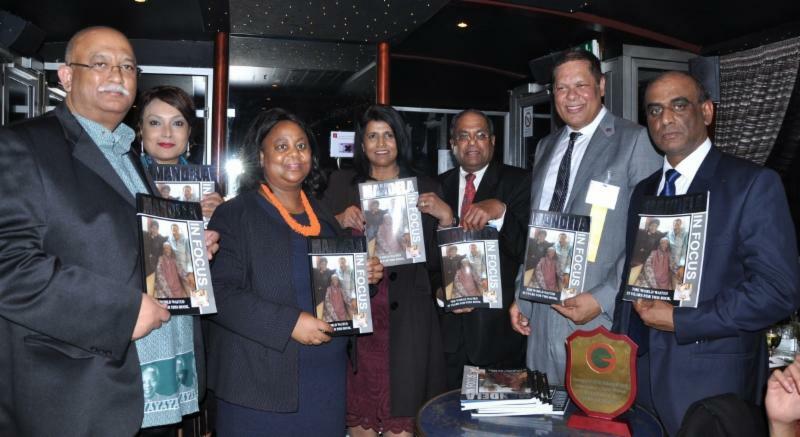 Award ceremony and the launching of the book on Nelson Mandela written by Farook Khan and photographed by Kevin Joseph (Nelson Mandela's private photographer) were the attractions. GOPIO-Europe General Body Meeting took place on Sunday 13th morning at the Marriot Hotel which discussed future programs in Europe and was followed by a Paris sight-seeing leisure trip. GOPIO Europe convention organizing committee thanked everyone who made this Europe summit a big success and ensured that the committee will arrange many other programs in future to promote global unity and charity. GOPIO will have its General Body Meeting and Convention Inauguration on January 5th and a full day conference on Jan. 6th. More details will follow in the coming issues of GOPIO News. Contact Convention Chairman Sunny Kulathakal at kulathakal44@gmail.com or Convention Convener Shaji Baby John at shajibabyjohn@kingsgroup.co.in. Two new chapters are joining GOPIO International in December 2016, GOPIO-Inland Empire Chapter in Southern California was launched on Dec. 4th.